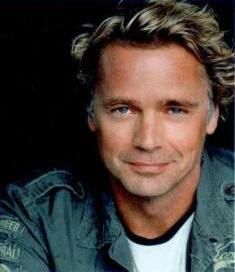 Guess Who’s Coming to Dinner on April 14? "God shattered my heart over this issue . . . I honestly did not know that the words 'abortion' and 'survivor' could go together." - Jon Erwin, Director of "October Baby"
The phrase "abortion survivor" may seem like a misnomer, but it's not, and on March 23 moviegoers can watch a film about that very subject, inspired by a true story. The movie, "October Baby," chronicles a young woman's search for the truth about her past -- a past that includes discovering that her mother tried to have her aborted, only to place her for an adoption when the abortion failed. Click here to order your tickets today for the March 23 opening weekend of October Baby! 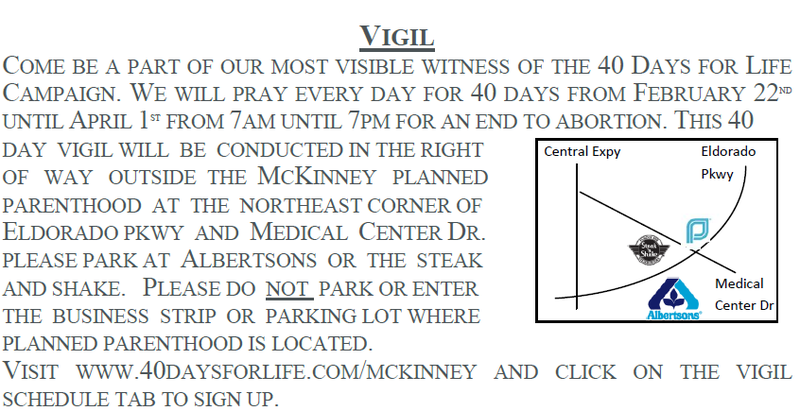 Click here to join the McKinney 40-day prayer vigil. Sponsored by Life Today TV. The full text of Cardinal Dolan's letter can be found at here. Action Reminder: Have you contacted your representatives about supporting the Respect for Rights of Conscience Act? If not, please click here. (Find out if your representative has co-sponsored this important legislation here.) Visit prolifedallas.org/conscience for more info.